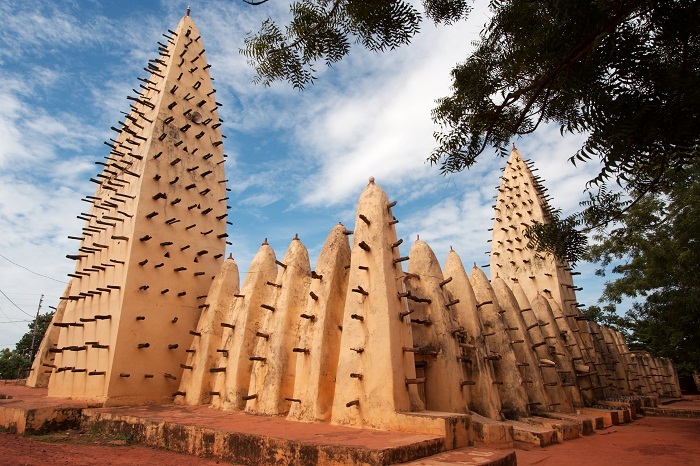 Bobo-Dioulasso Grand Mosque is the oldest and also still in use that serves also as a monument in the second largest city in the West African country of Burkina Faso. 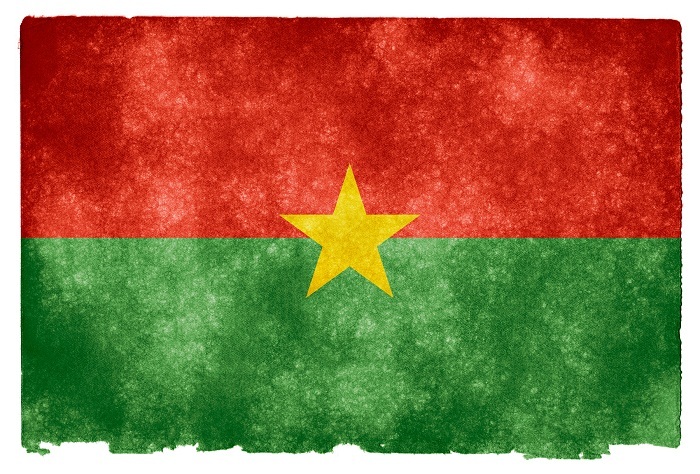 As the city has two names that come from the two ethnic groups, Bobo and Dioula, that is how the city, as well as the mosque received their names. 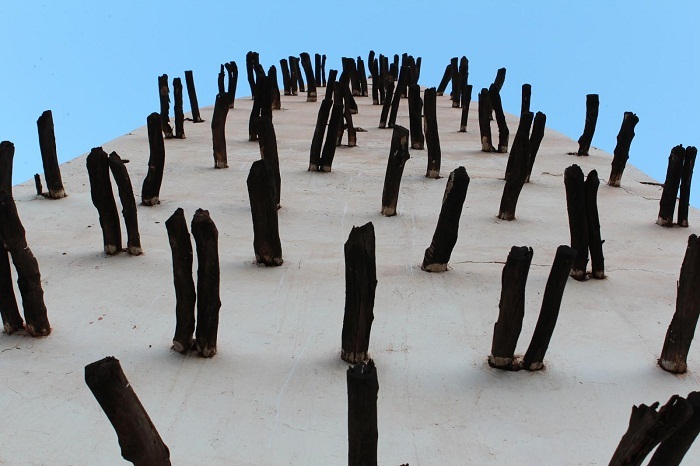 Built in a Sudanese architectural style, it is comprised from laterite, clay and sheabutter which construction began in 1870. The construction of the Grand Mosque lasted for 10 years, and finally in 1880 it was finished and still today is in good condition thanks to the regular maintenance. 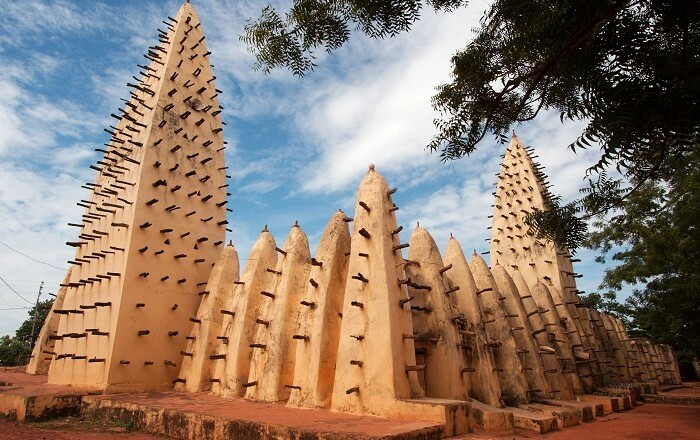 The Bobo-Dioulasso Grand Mosque is comprised of two large minarets which allow the people who could climb them to see the surroundings, as well as, there are 65 supporting pillars which are organized in corridors that intersect from where they are forming a veritable checkerboard. The mosque as a whole is organized in three different parts. In the first one, which is outside under a canopy is the place where only young women and girls gather to pray. In the past, the women were not allowed to enter the mosque, but as the time changes the rules have changed too, and as one goes inside the mosque, it could be seen that the first two rows are reserved for older women who have already finished with the maternity or perhaps went to Mecca. The next seven rows are reserved specifically just for the men, where the back row is only for those who are of great importance and are there to help the Imam. In total, the mosque can accommodate over 800 people, which makes it one of the bigger ones in that part of the continent. 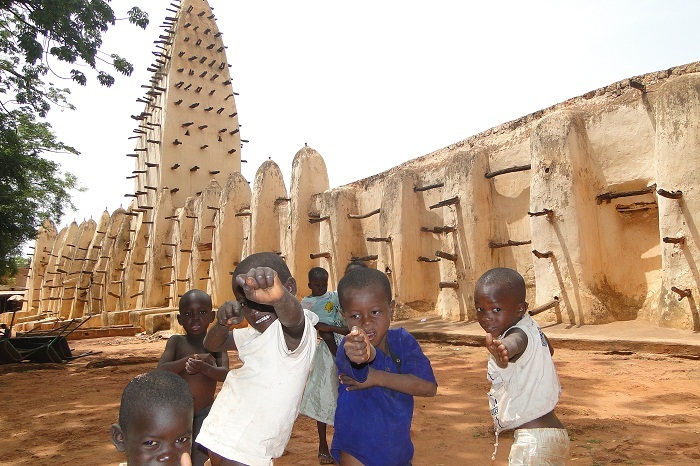 As previously stated, the mosque is in very good shape due to the regular repairs, and whenever in the rainy season some damages are to be seen on the mosque, immediately those are being fixed. The two minarets are holding rooms, and there are 4 rooms for the women and 5 rooms for the men who are using them as a retreat in silence and without companions. 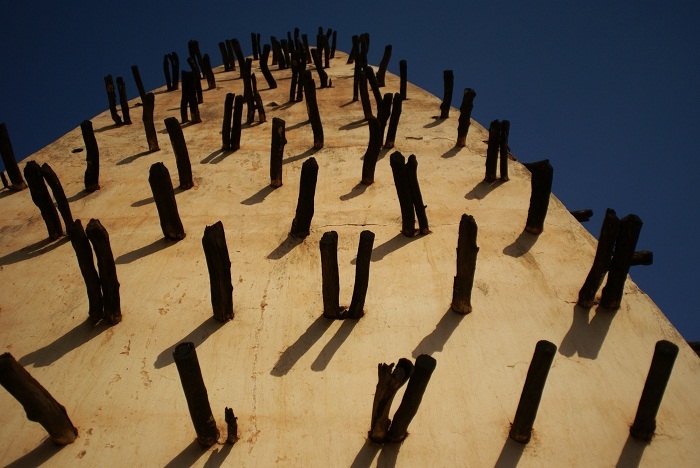 The whole mosque is covered with a flat terrace where one can follow the interior architecture through the earth rods which are punctuating the space. 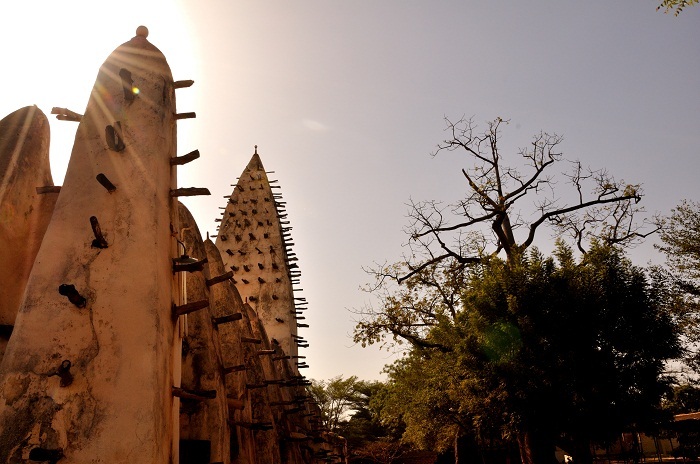 Still serving as a proof that buildings can last for a longer period if protected and repaired on regular basis, this Grand Mosque is definitely the pride of Burkina Faso’s second largest city, and most likely it is one of the major tourist spots for the foreigners visiting the city.